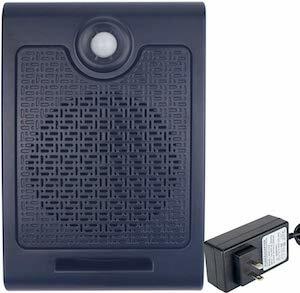 Now there is a cool motion sensor speaker / scream box that you can use to scare people at your door this Halloween. The scream box is a nice loud speaker with a PIR motion sensor and this speaker can hold SD cards with MP3 files so you can use it to send scary sounds with Halloween or maybe some festive sounds with Christmas. The speaker can be a great addition to your holiday decorations and will be fun to use for many years to come. So if you like to make people get scared or happy then check out this Motion Sensor Speaker / Scream Box.